Enroute to Tamaki Maori Village, nestled in the thick of an ancient Tawa forest, your guide will instruct you on the rules of entering a Marae and the protocol you must observe. The visiting tribe must appoint a Chief to accept the peace offering and to represent those on your coach. 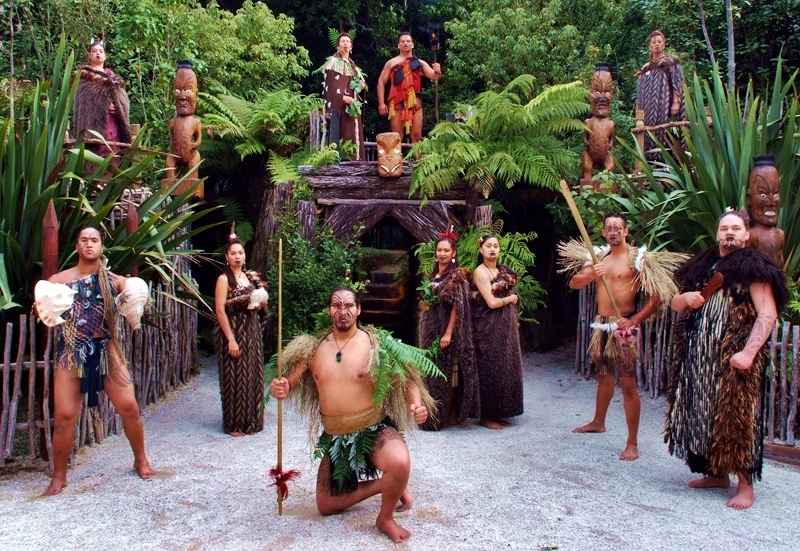 Representation of your group is considered an honourable task in Maoridom. As you make your way to the village, you’ll learn about the great Maori migration – when Maori journeyed across the vast ocean in massive Waka (canoes) to New Zealand. 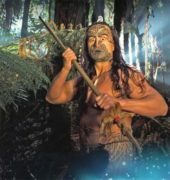 You’ll also enjoy some fascinating Maori legends and stories from our history. Step through the fortification and be transported from one world into another…You will be spirited back in time, to an era before the arrival of the European to capture the essence of a very proud people.The entire village comes to life, and as you walk around each small dwelling, you’ll see and learn about various art forms, traditions and ways of life for Maori.